Sugar and spice and everything nice! That pretty much sums up the smell in the kitchen when these cookies are baking. 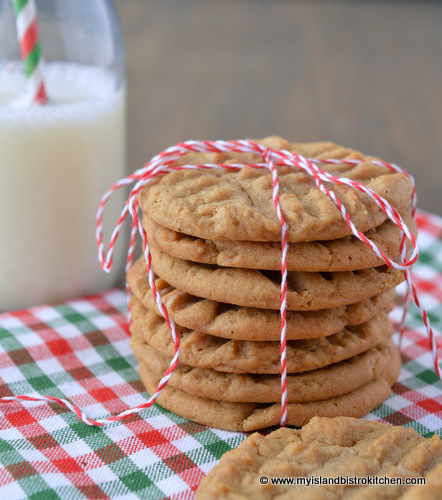 These cookies have a lovely blend of spices that make them a real taste treat, especially with a tall glass of cold milk. 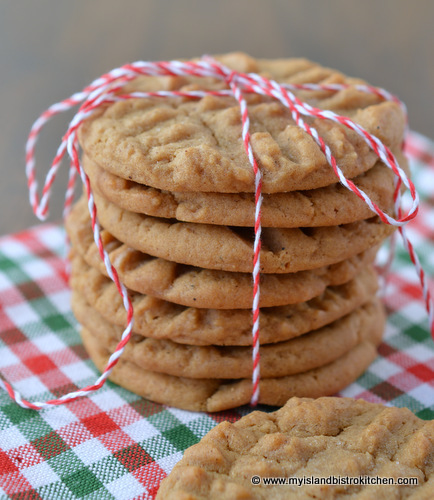 The key to keeping these cookies a bit on the chewy side is not to overbake them. 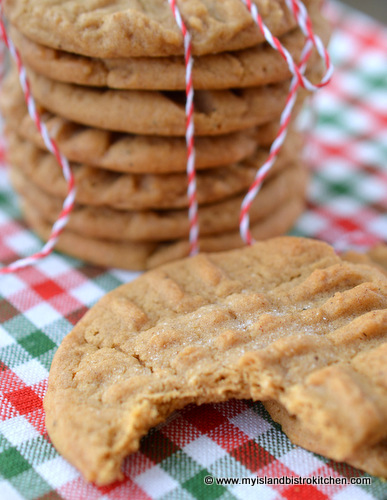 Otherwise, they get crisp and hard and more resemble a thick gingersnap. These are almost always a staple in my freezer since they freeze so well. Good treat any time of the year. Preheat oven to 350°. Line baking sheets with parchment paper. In large bowl, cream shortening and butter together. Beat in sugar. Add egg. Beat well. Blend in molasses. Sift dry ingredients together and blend into creamed mixture. Form dough into 1¼ “ balls and place approximately 2” apart on prepared baking sheet. Flatten with fork tines. Dust cookies lightly with granulated sugar. Bake for 8 – 9 minutes. Remove from oven and let rest on cookie sheet for 3-4 minutes then transfer cookies to wire rack to cool. Thank you for visiting “the Bistro” today. If you enjoyed this posting and recipe, please share it on your social media websites.